Author: Global Delight Technologies Pvt. Ltd. But my MBP has those tiny little speakers that don’t cut it. Or can they? “Boom is a simple volume booster and system-wide equalizer that lets you boost the volume of your Mac and your music files. 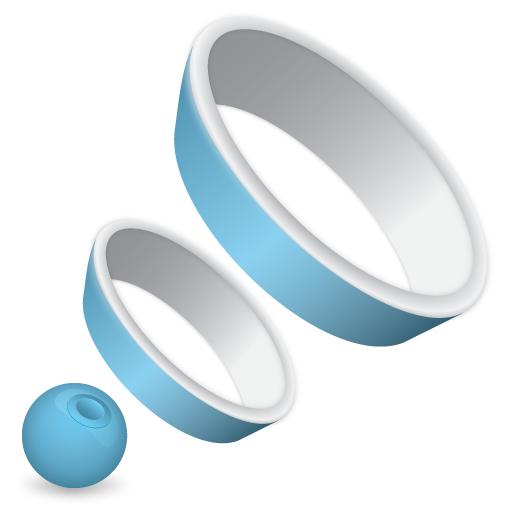 I first encountered BOOM when the developers debuted it at Macworld several years back. They’ve released a major upgrade, so let’s lend an ear. BOOM is very simple, as are most of the most highly useful apps. Basically, BOOM is an equalizer. But it has several valuable extras. First, it comes with a number of presets such as Music, Movie, Spoken, etc. It also has a custom function, which has both it’s pros and an aggravating con. As for the pros, you can pick a particular piece of music, movie, podcast, what-have-you, or save a custom equalization of your creation. You can either add the “boosted” iTunes to your playlist, or go through BOOM and pick from your “boosted” audio/video selections. BOOM also places an icon in your Menu Bar which allows you to pick from your presets and adjust the volume. You can also adjust the presets to tweak your sound. 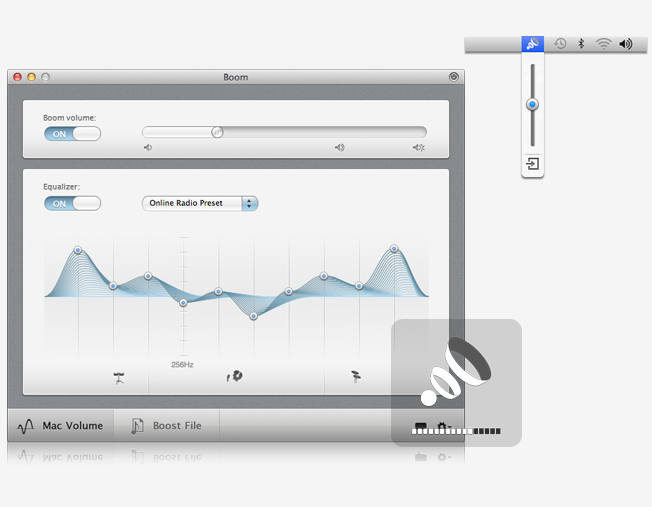 The first time that I used BOOM, I was amazed at just how much of a difference it created in my MBP’s volume alone! And seeing that I have a 2009 MBP, I can only imagine what it’ll do to audio in today’s MBPs or MBAs. I found that the music worked well with whatever I threw at it. But when you got into video, I had to a bit more tweaking to get it to my liking. Then again, it only takes but a few seconds to adjust the sound to your liking. As I mentioned earlier, there is a con. Yes, you can save a custom EQ for your presets. And you can save that song or whatever to a folder that will automatically save that preset and launch it when you start that particular song or whatever. BUT you can only save ONE PRESET! So, if you have more than one piece that you would like to to customize, you’re out of luck! As to whether it’s a conscious decision by the developers or that it would create a folder of an unwieldy size, I don’t know. But it is most definitely an option that I would love to have. BOOM is definitely an app that I wholeheartedly recommend. As I with all apps that I recommend, when there’s a trial available, I suggest that you download it and see if it’s something that works for you. Personally, I think that you’ll be extremely surprised at the kind of sound BOOM can coax out of tho minuscule, onboard speakers. Will this replace your Jambox? No. But if you’re not in audiophile mode, you will be more than satisfied. And if you’re a student living with your folks or a roommate, yea, they’ll ask that you turn it down. This entry was posted on Thursday, September 13th, 2012 at 12:10 am	and tagged with Mac software, Utilities and posted in Reviews. You can follow any responses to this entry through the RSS 2.0 feed. “I found that the Music worked well with whatever I through at it.” Ympnow Do you might mean throw at it?